Karl returns for the 1st monthly show, with a focus on Property Rights. Just how much of an advantage are they and how can we re-balance these opportunities? Along the way we visit a London catwalk with Vivienne Westwood’s big callout and hear from Fred Harrison. To a one world rent! Please note, the previous 573 radio shows were hosted on our earthsharing site. 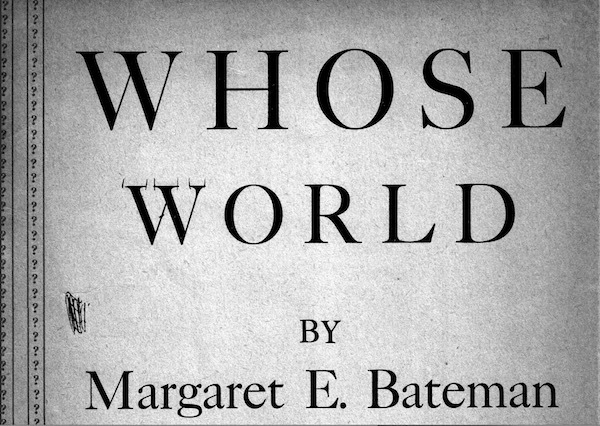 Margaret Bateman – Whose World? (1944 must read). Hat tip to Ed Dodson for this find. Check Ed’s Georgist archives.